Ayni Expedition is a boutique travel agency specializing is transformative South American travel. We focus on singular experiences that prioritize environmental and social accountability through meaningful and genuine collaboration with local communities. To our clients, South America travel with Ayni means highly-personalized attention to detail, natural and cultural diversity, and fun, active itineraries. We help to create treasured memories, and provide the circumstances that lead to truly life-changing experiences. Our innovative itineraries are carefully designed to blend the very best of South America, from world renowned highlights, to gorgeous treks and remote homestays under the star-strewn Andean sky. 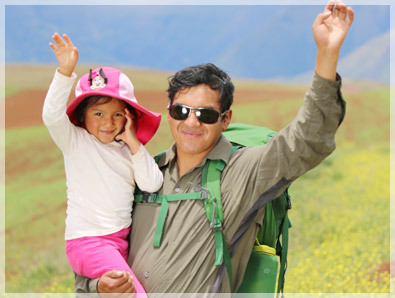 The quality of our programs and safety of our clients is of the utmost importance to Ayni Peru. We send only licensed and highly experienced guides, drivers and support staff on our treks and tours, and ensure guides are trained in emergency first aid, search and rescue, and carry all necessary equipment and medical supplies. We are constantly evaluating all itineraries to ensure that our clients have the best possible experience, filled with the activities, destinations, meals and accommodation that best suits their priorities. Each of our treks and tours are planned and operate in a matter that minimizes its negative environmental and sociocultural impact, and takes steps to create positive change in the areas we visit. Whether it is experienced local guides, fresh produce from local farms, or a night in rural homestay, Ayni Peru incorporates the best of each area in our treks and tours. We believe this provides the richest, most authentic experience for our clients, contributes to local economies and strengthens local traditions. As local experts, travel with Ayni Peru comes with access to travel planners and guides with profound knowledge of the areas that our clients travel. We focus on immersing our clients in the most interesting, fun, beautiful and unique spots in Latin America in the most logical, comfortable and memorable ways possible. A key element of the thrill of travel is the adventure of new experiences, landscapes, food and people. Ayni Peru is passionate about finding the perfect balance of fun, discovery, safety and authenticity for each client . We strive to provide our clients with frank and helpful customer service, and treat Ayni travelers as we would visiting friends. We provide honest and accurate advice on even the smallest details, respond quickly and thoroughly to requests or questions, and provide transparent pricing. We`ll have you fully prepared for travel prior to departure, will be available 24 hours a day once your travel is underway! 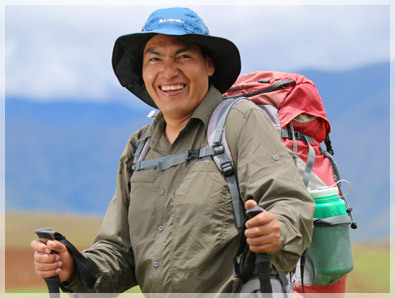 Ayni Peru Expedition is a Cusco-based, Peruvian company, with offices located at Zagun del Cielo, A-16. We are registered with DIRCETUR, the Peruvian governmental agency overseeing tourism (#733-2014-GRCUSCO/DIRCETUR.DT) and the municipality of Cusco (license# 04011-2014). Domingo Atao, is a professional guide with over 20 years of experience guiding in photography, stargazing and exploring South America. 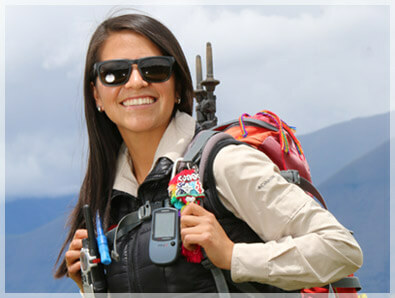 Flor is entering her 9th year as a licensed tour & trek guide. She is an expert on alternative trek routes in Cusco, including the most remote. 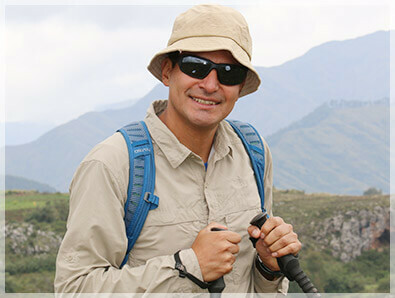 Simeon joined Ayni Peru with more than 10 years working as a tour and trek guide in Cusco. Simeon’s favorite routes are our most remote; join hil for true adventure! Greco is an adventure travel specialist. With over 13 years’ experience, our clients are ensured an unforgettable experience. 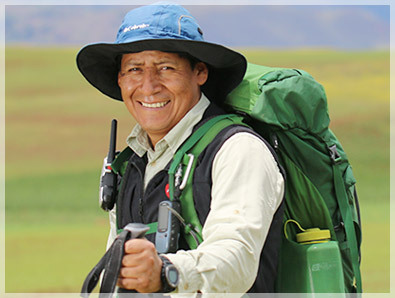 With over 15 years of experience guiding groups small and large, Urbano is Ayni`s lead guide extraordinaire! 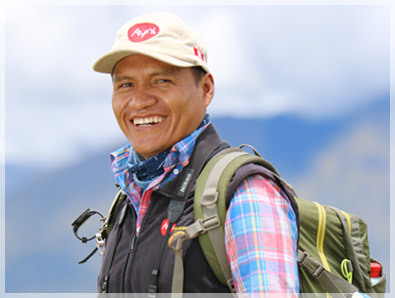 Urbano spends his time scheduling & training guides, plus leading groups throughout Peru. For 14 years, Huber has led tours and treks in Peru, taking clients to interesting spots other guides don’t visit.he has also studied medicinal plants, and loves teaching travelers about their fascinating benefits. 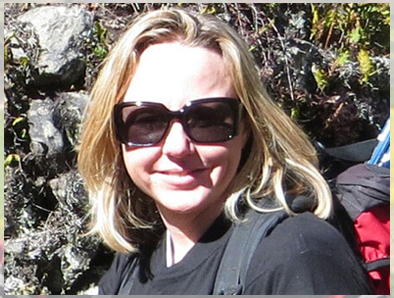 Amanda is a travel consultant and co-founder at Ayni. Amanda handles most customer service on the ground in Peru, so you`ll most likely rrun into her at some point in your travels! Homestays are a great way to see a more authentic side of Peru and create memories that will last a lifetime. 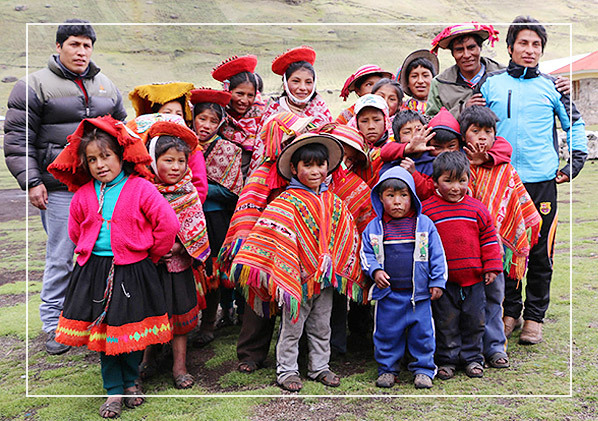 Experience daily life in the Andes, learn about local traditions and have fun getting to know your host family! The majority of the families we work with live in remote areas, so often don’t have the same opportunities to benefit from tourism in the way that Peruvians living along famous tourism circuits do. Incorporating an overnight homestay in your tour or trek is an excellent way for your travel to positively impact the areas you visit and experience a side of each country that few foreigners can. Ayni has carefully built relationships with families in locations spanning the country and including homes in larger cities, towns, and remote indigenous communities. The majority are strategically located in areas that work well with one or more of our tours and treks, but we also offer some that we have built tours around. Homestay fees are set by host families, and paid directly to them at the time of your visit. This helps provide important income and spread the benefits of tourism a bit more evenly. We`ll often bring fruit, coca leaves and other small gifts along, and stay for about 24 hours.